Exceptional films like “The Guard”, “Margin Call”, “The Whistleblower” and “Ides of March” are not among the pictures on the 2011 list. In a myriad of fine films, a few reach you and seem to stay in your head or heart for awhile. The Steve McQueen film, “Shamless” tried to appeal to other parts of my anatomy, but I couldn’t get past the poor film making. A major limitation of any film list is that we can’t see them all. 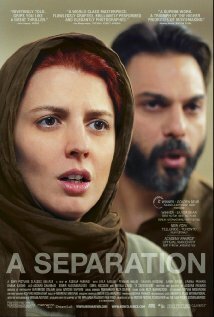 Had I seen films earlier, such as “In A Better World”, the 2010 winner in the foreign film category, it would have certainly been included in last year’s list. The following ten films, in some way, caught my attention, generated discussion or exceeded my expectations in 2011. 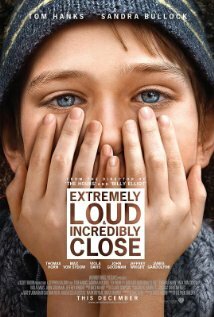 #10: A very late release and the risk of treating a sensitive subject in typical Hollywood fashion bred skepticism for “Extremely Loud and Incredibly Close.” However, the plot focused on the human tragedy of 9/11 and a young boy, Oskar Schell, trying to keep his father’s memory alive by following the path of a key, found in dad’s belongings. Adeptly played by Thomas Horn, Oskar’s character soon reveals to us that he may suffer from Asperger’s Syndrome, creating difficulties with his social finesse. Viola Davis also delivers a terrific performance. Though it is definitely a “three-hanky” movie, the writing and acting is layered and real. 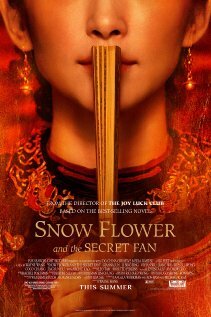 #9 "Sunflower and the Secret Fan"
each other throughout their lives with a secret code. Director Wayne Wang delivers heartwarming realism and exceptional cinematography. #8: The release of a B&W, silent film in 2011 seems, metaphorically to be an antonym for the chaotic social networking. Blogging, tweeting of our “YouTube world. 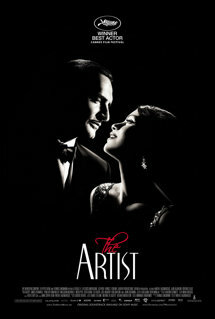 “The Artist” succeeds in keeping you focused with two tremendous performances, a simple, very believable story revealed with the help of a few key spoken words and a dog. Stop texting and pay attention! This film makes us understand why we still love B&W. 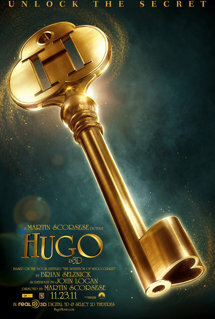 #7: Happy to see Martin Scoresese’s “Hugo” in 3D, but would have enjoyed the story and cinematography without it. The various “gears” depicted in the film were enough to keep me intrigued. Amidst an uplifting story of self-actualization is a disabled station guard, hilariously portrayed by Sasha Baron Cohen, in search of love and an old man’s strategy to win the affection of the spinster. A classic film experience and another superb effort by one of the best all-time directors. 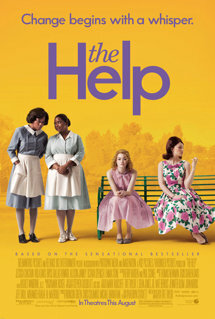 #6: Admitting a bias for films that are set in the sixties and deal with the issues of that time, I enjoyed “The Help”as much as any film in 2011. That being said, I would not have had interest in a film about the conditions imposed on house maids in the South had my wife not just read and recommended Kathryn Stockett’s book. Among its many qualities, this film is a “revenge” movie with the violence replaced by one pie. The performances will certainly be recognized at the Oscars. Billy Crystal will mention the pie. #5: Innocent child’s play is abruptly cut short by a knock on the door, foreshadowing drastic changes in the lives of 13,000 Jews in France. Through the film, “Sarah’s Key”,the tragic story of the Vel’d’Hiv Roundup in 1942 is exposed through research of a present day journalist, Kristen Scott-Thomas, who connects the pieces through the eyes of a young girl, Sarah Starzynski, played by young actress, Melusine Mayance in clearly one of the most compelling performances of the year. #4: I like Alexander Payne films. They are accessible for most to watch, but exonerate the typical Hollywood-style with real characters, coping and sometimes not, with the complications of life. 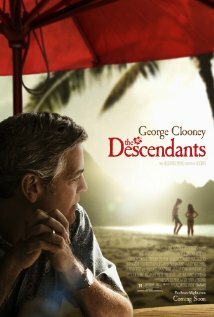 Dealing with tragic family circumstances that only get compounded, “The Descendants” focuses on a father-daughter relationship, skillfully played by George Clooney and Shailene Woodley, earning my nomination for best supporting actress. 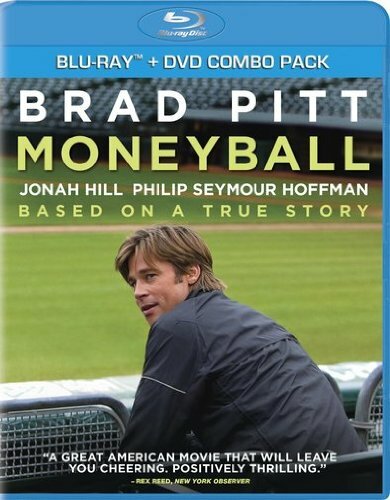 #2: Baseball setting aside, consideration in naming “Moneyball”my #1 film came from the timeless American story; someone burdened with difficult circumstances that ultimately inspire creativity and extraordinary success. The film, that book author Michael Lewis said could never be made, does an admirable job of defining Billy Beane’s past, his motivation (along with lack of money) to think out of the box. Brad Pitt and Jonah Hill deliver performances worthy of recognition. This is the “Rocky” of 2011. #1: Woody Allen has certainly seen resurgence in his career after a brief lull. Recent films like “Matchpoint”, “Vicky Christina Barcelona” and “Whatever Works” have put him, already a legend, among the best writers and directors of the past decade. 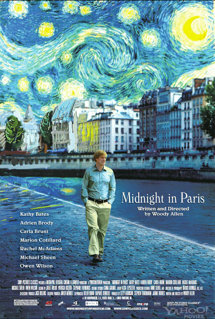 The concept alone for “Midnight in Paris”deserves consideration for an Oscar nomination; bored assembly-line screenwriter, painfully agonizing over his first novel, in Paris surrounded by egotistical, arrogant, shallow people (Woody’s favorite theme), fantacizing about a past romantic lifestyle. The scenes of Paris were reminiscent of our rainy day walks last Spring. The ensemble cast of Kathy Bates ( Gertrude Stein), Marion Cotillaid, Adrian Brody (Salvador Dali), Rachel McAdams, Carla Bruni, Michael Sheen and Wilson deliver performances that only Woody can arouse. Some understanding of his style enables one to distinguish the improvisation that makes his films so real. Great writing, acting and the nourishment of creative interpretation is a formula for success; one that strips the confines of the character and lets actors act. Mr. Allen, well into his seventies, can still write modern romantic comedy and the top actors in the world line up to work with him. I anxiously await his next film. This entry was posted on Thursday, February 23rd, 2012 at 5:37 am	and posted in Film. You can follow any responses to this entry through the RSS 2.0 feed.